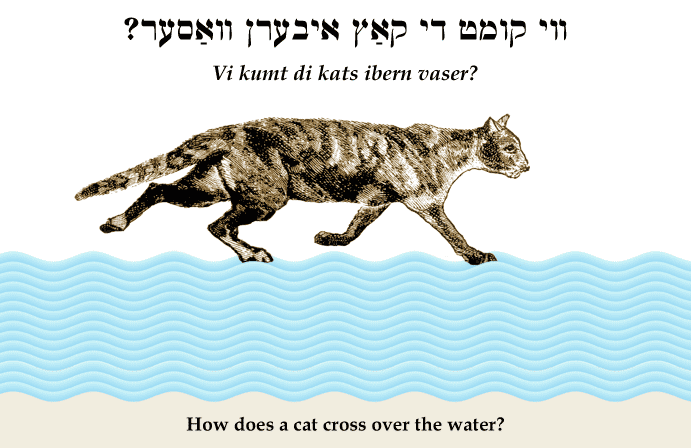 Yiddish Idiom: How does a cat cross over the water? ווי קומט די קאַץ איבערן וואַסער? Vi kumt di kats ibern vaser? How does a cat cross over the water? How can such a difficult thing be done? SOURCE: Bernstein, Jüdische Sprichwörter und Redensarten.